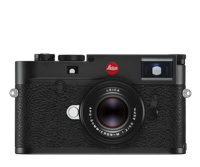 More than 60 years of rangefinder expertise, 11 years of digital M-Camera development and invaluable feedback from dedicated M-Photographers have inspired Leica engineers to create the slimmest digital M of all time: the Leica M10. Its unique balance of heritage and technical innovation embodies the essence of everything that is truly important for photography. Compact dimensions, improved performance and the new ISO setting dial on the top plate offer M-Photographers what they wish for from an M-Camera. Leica m10 digital camera incredible condition.